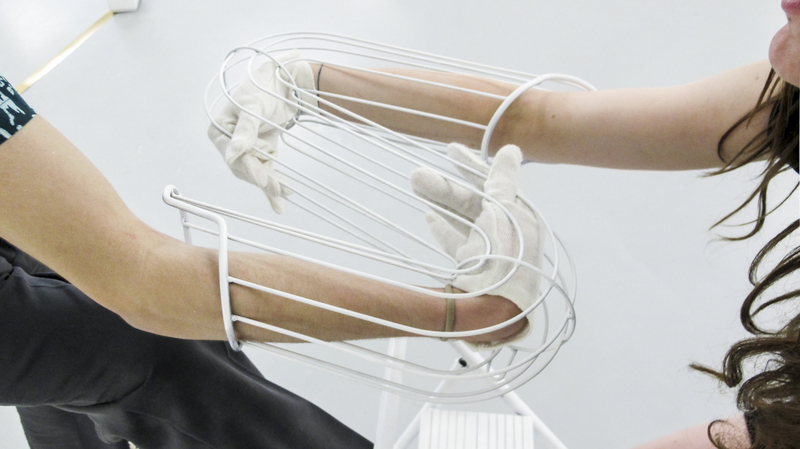 A project in collaboration with Katrien Oosterlinck and Eline Van Riet, Alies Jacobs, Johannes Hoffman, Sarah De Zutter, Kathy Vanhout, Aron Wouters, Sarah Goosens, Olivier Vanschoonbeek and Helena Wuyts. 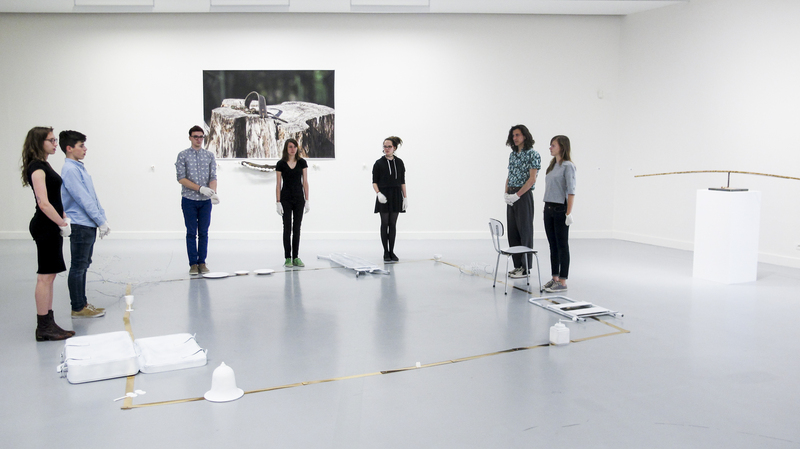 “If this, then that” is an open structure – a performance whose duration is determined by the randomly selected rhythm of a metronome, and whose number of participants is always variable, due to the fact that the public is invited to take part too. This choreographic performance does not follow an established script, but is instead based on a series of instructions which we developed with participants in a preceding workshop, under the motto “If this, then that”, focusing on the creation of momentary sculptures and living images. 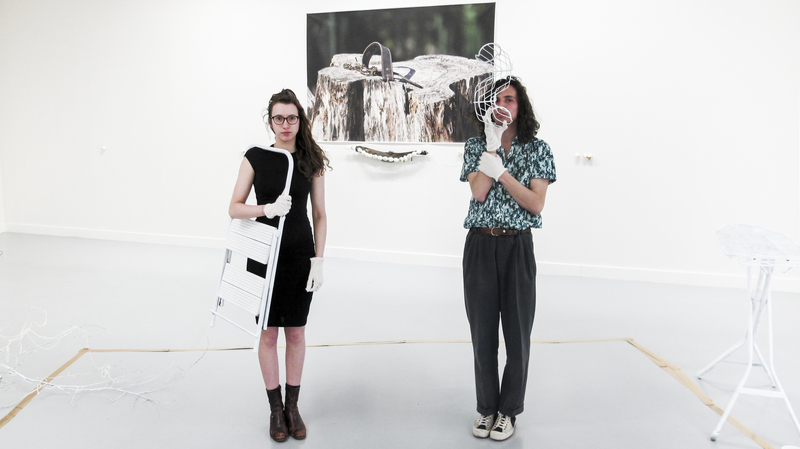 One of the performers begins by entering the designated space and performing a series of gestures and movements using their body and/or any objects lying around. Another participant must then respond to this action by adding or removing elements. 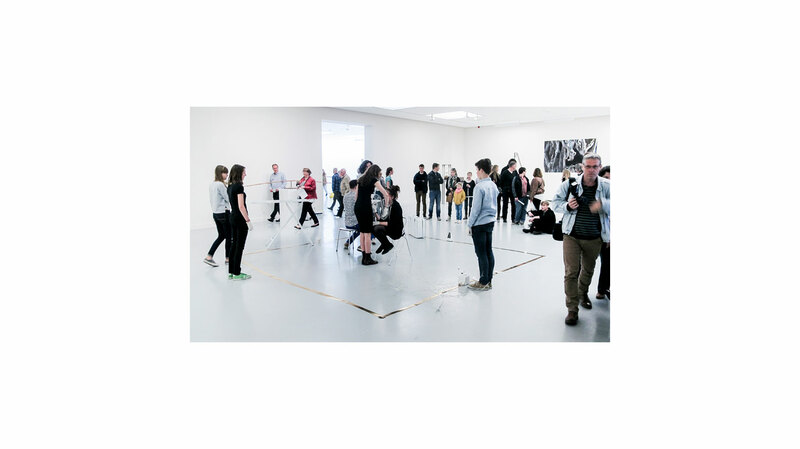 Participants are free to choose when they want to enter or leave the performance, maintaining the question-and-answer dynamic and providing the spectator with a sensation of controlled chaos. 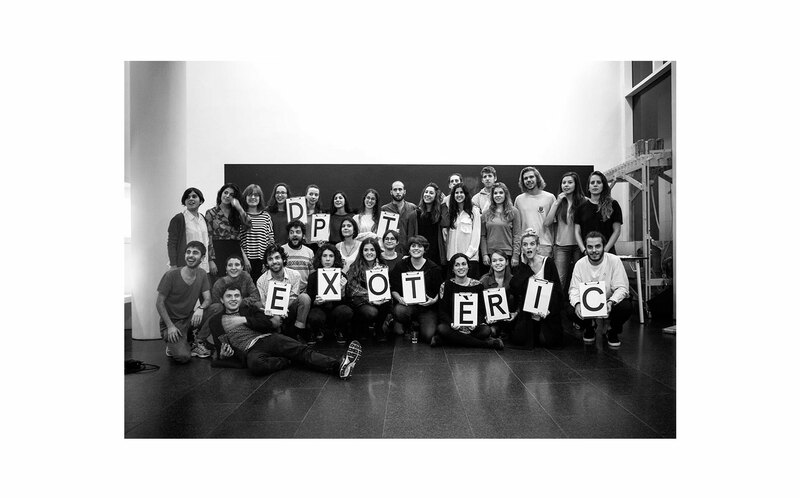 Exoteric Department is an artistic and educational project which, by creating a research department in an exhibiting institution, attempts to demonstrate that alternative ways of learning and teaching are possible. The department is made up of 35 students from six different universities, and its approach to work encourages horizontality, self-management and self-learning in the participants. 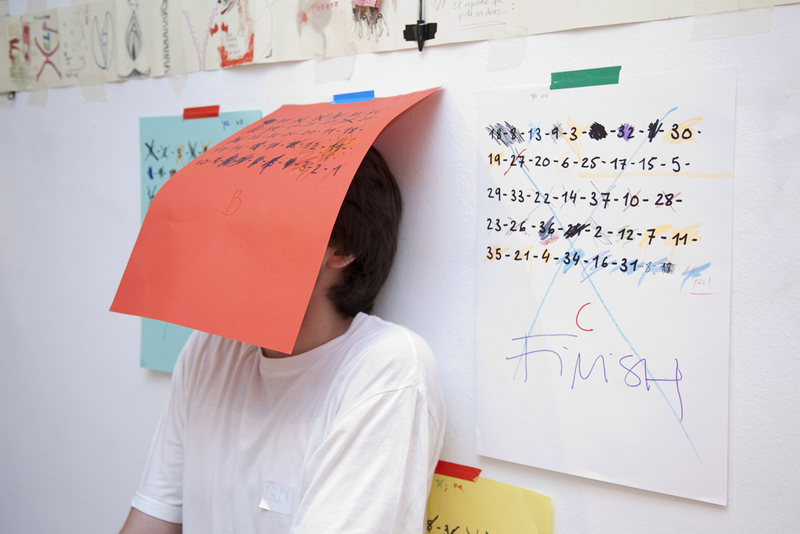 The name of the project refers to the concept of Exotericism – a method of open teaching which dispenses with teacher/student hierarchies and displays a willingness to venture outside (in contrast to the concept of Esotericism). The project progresses over the course of six months, through a combination of lectures, visits to cultural spaces, screenings and sessions with guest tutors. Under the motto “What would you like to learn? 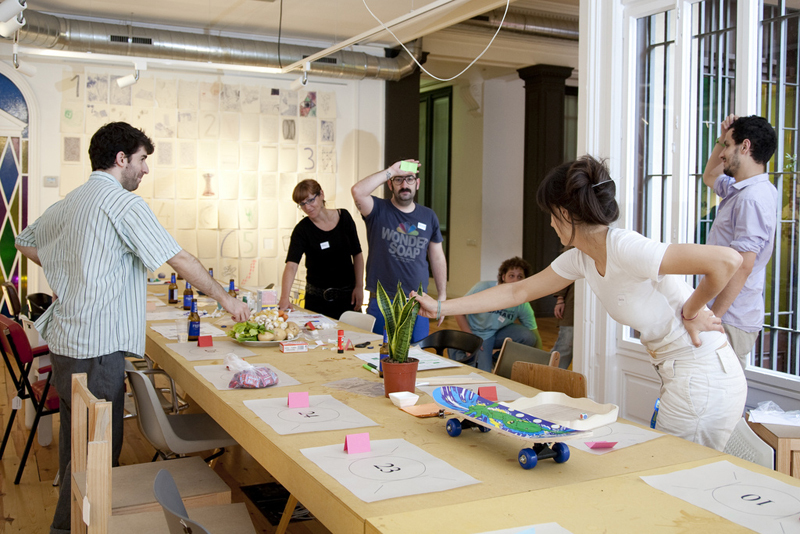 What can you teach?” participants construct the project programme in accordance with their interests, opening up a space where they can access responses which are different to those from the formal educational context. 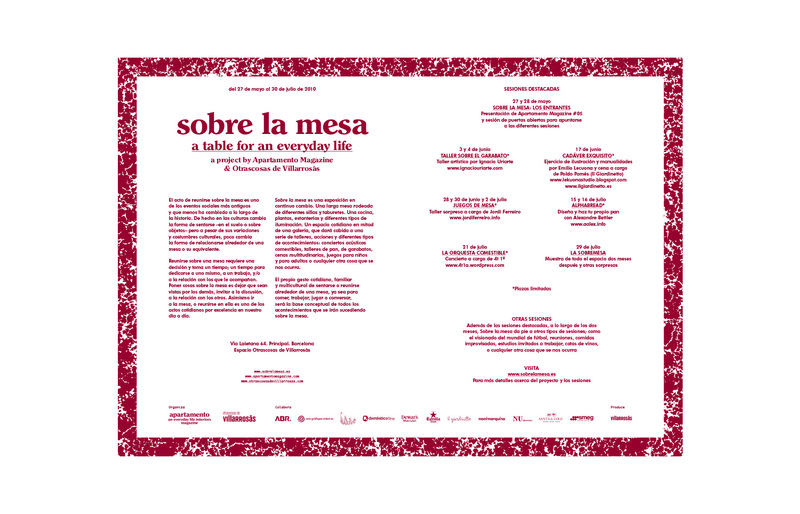 This project was carried out in collaboration with MAC (Bogotá Museum of Contemporary Art) and the La Agencia collective in Bogotá as part of their “Escuela de Garaje”. We organized two sessions with members of the public who visited the school. The first was a talk about the role of performance in public demonstrations and its use as a tool of protest. 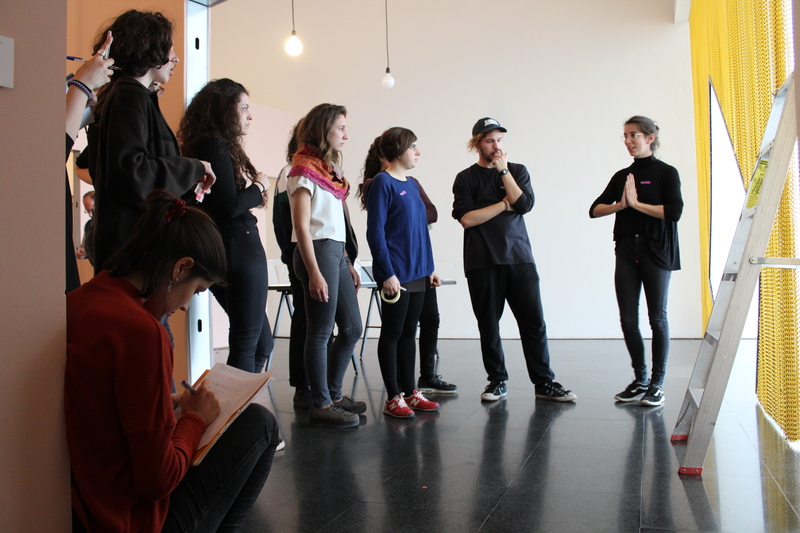 The second was a practical session in the museum plaza, consisting of a performance prepared by participants during the preceding session. “Who asked for participation?” investigates the idea of developing a “passive performance”, a type of collective action which, in protest contexts, will not result in violent action by repressive forces. The action was carried out at a previously stipulated time and place (the MAC plaza). All participants wore t-shirts with letters printed on them. 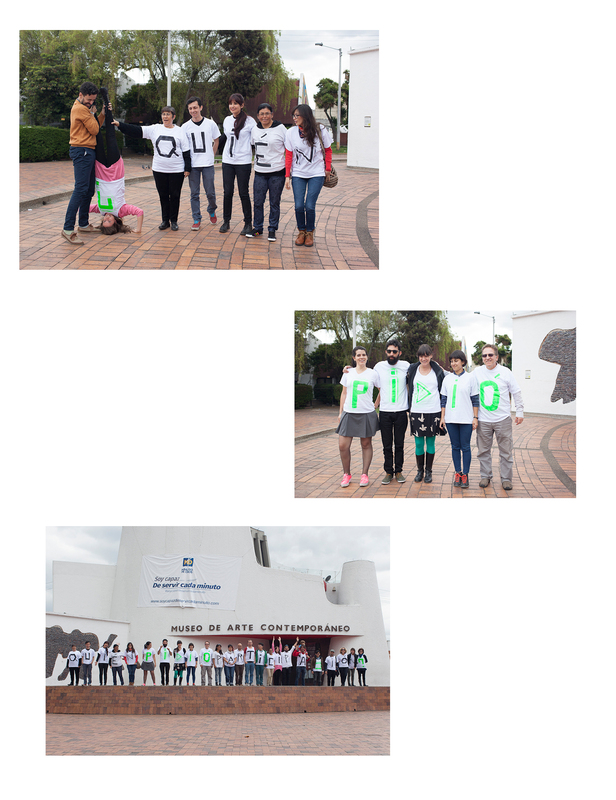 As each participant reached his or her prearranged position, the letters on their t-shirts formed a phrase. 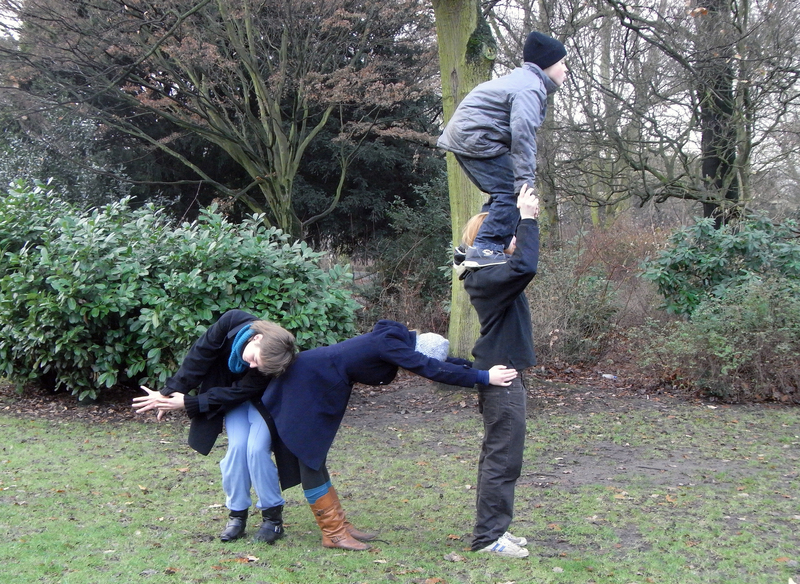 Once the phrase had been made, the group had to dissolve before repeating the action after a few hours. 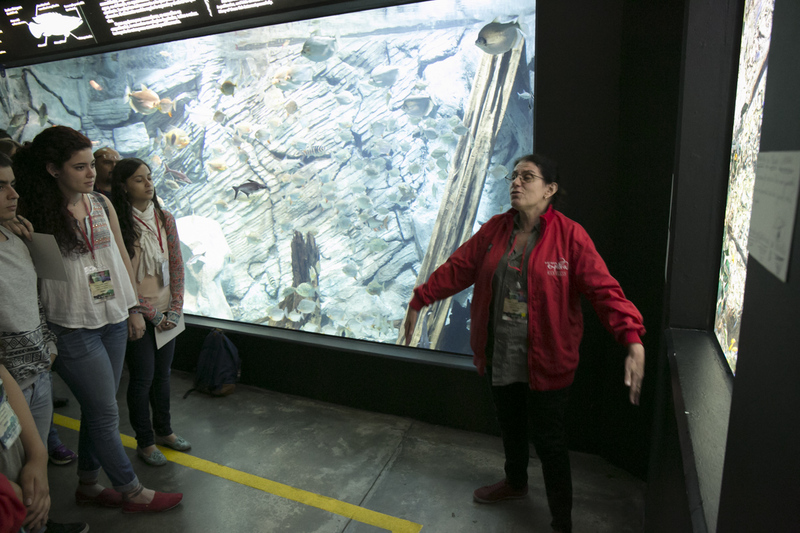 This workshop was carried out with science museum educators and educators from the Museo Parque Explora in Medellín as part of Congreso RedPOP: the Latin American and Caribbean Network for the Popularization of Science and Technology. During the three-day workshop we presented a subjective view of science, connected to experience and personal perception, taking as an example The Museum of Jurassic Technology in Los Angeles and the work of artist Joan Fontcuberta. 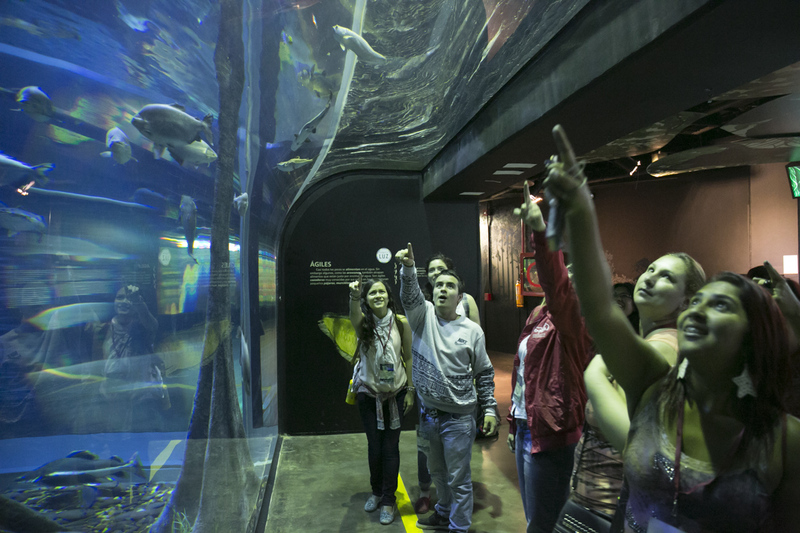 Organized into groups, we selected different elements from the park’s aquarium (the animals themselves, information for visitors, exhibitions and even architectural elements) and designed expository posters that subverted the scientific discourse regarding the animals on display. On the final day of the workshop we conducted a series of alternative guided tours, different from those normally provided to the public. 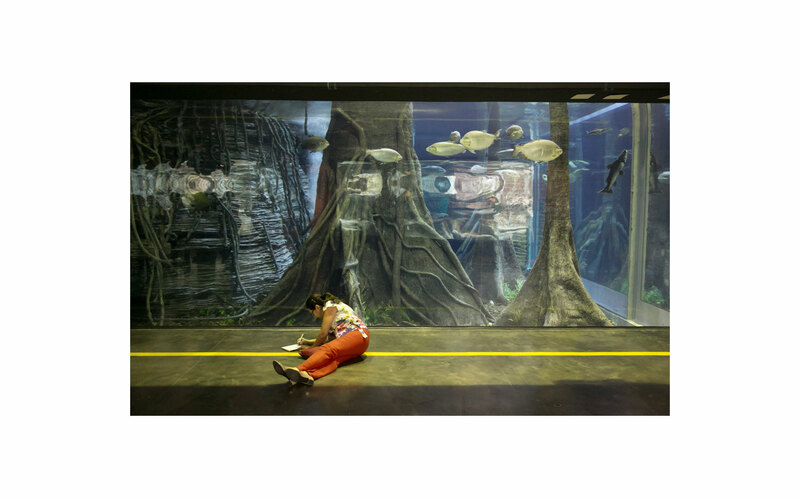 Workshop participants dressed up as aquarium educators for the day and gave tours mixing biological ideas with political, philosophical and social concepts in the local context of the city of Medellin. 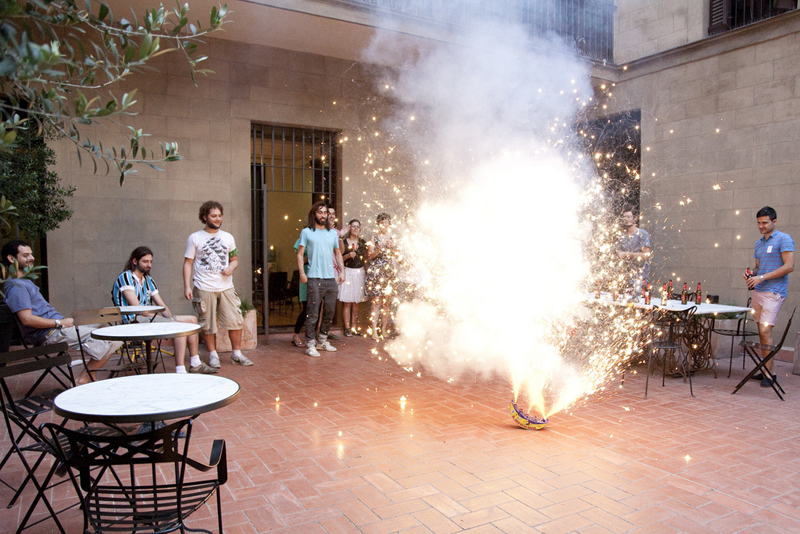 For the presentation of issue number 6 of Apartamento Magazine a series of acts took place at the gallery “Villarosas”. The idea of table was the focus/centre of attention for different subjects, such as cooking, talking, working and playing. Each of these topics had an artist that worked as a “host”, one which created a series of participative sessions. In my case, I held the subject matter about “Play” and in order to combine that with a formal explanation about my work, I decided to convert the presentation in a table game (from here the title) in which using different dynamics and rules about different games of chance. 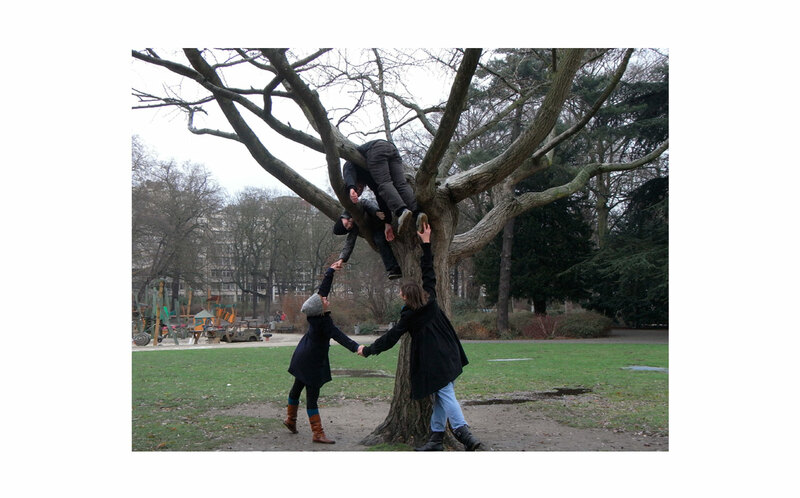 Together with Katrien Oosterlinck, I developed a collaborative action/workshop for the exhibition “Nepotists, opportunists, friends, freaks and strangers intersecting in the grey zone “. 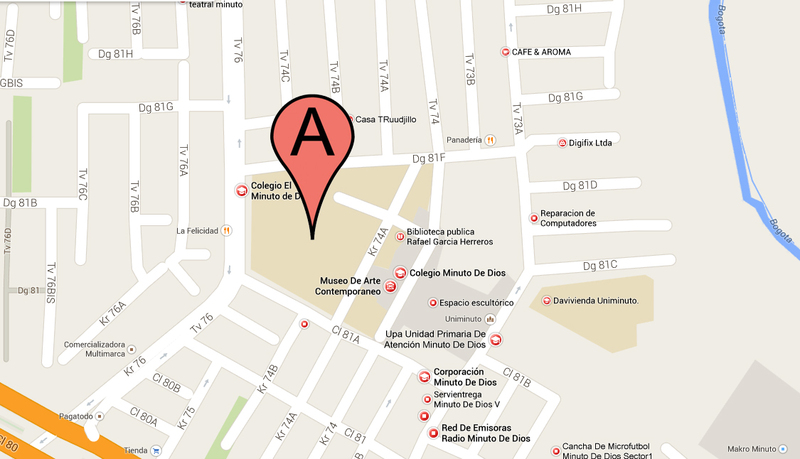 The workshop is about dance focused on the relation between body and space.